Signature Landscapes Inc. is an award winning design/build landscape construction company founded in 2000 by Ryan Aakre, owner/designer. Ryan is a 1999 graduate of NDSU with a bachelor degree in environmental design and a bachelor degree in Landscape Architecture and has been working in the landscape construction industry since 1995. Signature Landscapes Inc. provides complete design, installation and maintenance services (which include patios, decks, retaining walls, water features, pergolas, gazebos, gardens, foundation plantings, tree planting, and Landscape Lighting). 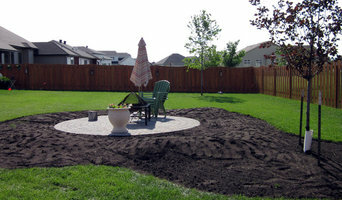 We also provide landscape renovation services for existing landscapes. Signature Landscapes’ mission is to provide high quality service and workmanship, using only the best materials, catering to the customers desires and needs. Quality from the ground up to make your surroundings your signature! CERTIFICATIONS -MNLA (Minnesota Nursery and Landscape Association) certified landscape contractor --ICPI (Interlocking Concrete Pavement Institute) certified paver installers --NCMA (National Concrete Masonry Association) certified retaining wall installers --PMB (Precast Modular Block) certified installers for large retaining walls. --PICP (Permeable Interlocking Concrete Pavements) certification. The PICP certification will soon be required to install permeable pavers in MN lake areas. 46 North Landscaping & Design Inc.
Love Your Yard is a premium lawn care and landscaping partner, servicing residences in the Fargo-Moorhead and lakes area. Whether you’re a busy family or a hard-working professional, finding time to maintain a beautiful yard can be difficult. Trust your home to the experts at Love Your Yard and we’ll make sure your yard is the envy of your neighbors! We treat every yard like we own it. We thrive on the details and pay attention to the little things that will make your yard stand out from the rest. When you trust your lawn care and landscaping to Love Your Yard, you can be sure that your yard will look pristine all summer long. We make it easy to Love Your Yard. At Dickey's Lawn Care and Snow Removal, we are focused on providing our services with the highest levels of customer satisfaction & we will do everything we can to meet your expectations. With a variety of offerings to choose from, we're sure you'll be happy working with us. Look around our website and if you have any comments or questions, please feel free to contact us. We hope to see you again! We are a small landscape business built on over 17 years of experience in the industry. We strive to provide personalized customer service and make sure our customers are happy from our first meeting, throughout the design and installation process, and for years after the completion. Landscape Design & Installation. No project is too big or small. Utilize only quality plants and materials to create show-stopping landscapes. My name is Kyle Stroh. I have lived in the Fargo/Moorhead area for almost 34 years now. I served my country for many years and now I'm home doing what I love. Peterson Services, LLC is focused on Customer and Employee satisfaction. Without them we realize that we could not be in business. Welcome to North Country Lawns in beautiful Fergus Falls, Minnesota, we are a full service commercial and residential landscape and groundsmaintenance firm that has been serving the lakes area for over twenty years. We are a design and build company that works on projects of all sizes from small foundation plantings, to fire pit patios, decks, and complete outdoor living spaces. We also provide clients with a complete line of grounds services to help maintain your landscape investment and property during the many different seasons we enjoy here in the heart of lakes country. Quality and dependability are the cornerstones of developing long lasting relationships with our clients, Mark Jacobs and the crew at NCL focus on the importance of these efforts and will continue to earn your trust and friendship. Let us work with you to develop a plan that addresses your desires, respects the surrounding environment, fits your budget, and exceeds your expectations. New clients are friends we just haven't met yet! 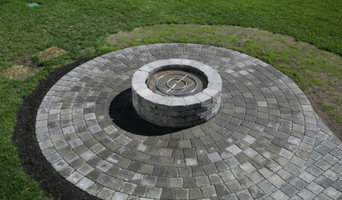 OutdoorWorx Inc. strives to meet your garden and landscape needs by giving you something unique to your needs and style. As a family owned and operated company we pride ourselves on our strong work ethic and family values. We continue to look for new innovative ways to keep our work fresh and affordable. Serving Pelican Rapids, Ottertail County, and Becker County, Superior Lakeside is your local resource for a wide range of home improvement and property care services. As a longtime resident of the Detroit Lakes region, owner Dustin Richter has always admired the wild beauty of the Minnesota Lakes Country. It was only natural for the passion of preserving the beauty of the land to extended into lawn care for all home and business owners. Barefoot Lawns has been operating as a family owned and operated business since it was established in 1999. The experience of living and working in the same area means that Dustin knows the soil structure, and is very familiar with how the Minnesota seasons can affect your lawn. With proven methods to deal with common weeds and weather stresses, Barefoot Lawns can keep your lawn looking great. The Barefoot Lawns promise is to service every client on time with honesty and fairness. We know you value great customer service, and as community members you see every day, we want to form lasting relationships with all our valued clients. Call us today to get your special piece of earth Barefoot perfect! What does a Fargo landscape contractor do? Landscaping contractors execute lawn, garden and hardscaping plans that have been drawn up by an architect or designer. They may also provide design services on their own. After the everything has been installed, landscape companies can make adjustments, maintain plantings, take care of weeds and pests, and perform other tasks to keep the scheme looking its best. A licensed North Dakota landscaper should have detailed knowledge of Fargo, ND weather and climate trends and conditions, and can choose plants and materials that are well suited to the area. Residential landscape companies in Fargo, ND also handle many of the same general duties as builders, including arranging for construction permits, hiring subcontractors and making sure that designs comply with North Dakota building codes. 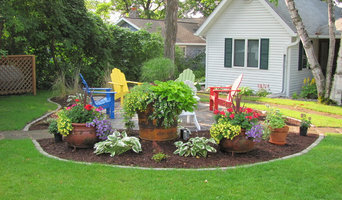 Find Fargo landscaping services on Houzz. 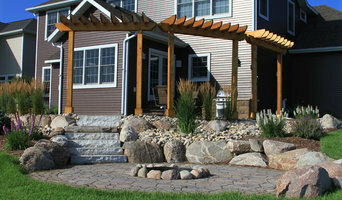 Narrow your search in the Professionals section of the website to Fargo, ND landscape contractors. 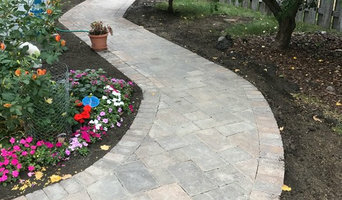 You may also look through photos of North Dakota landscapes to find one you like, then contact the landscaping company in Fargo, ND who worked on it.